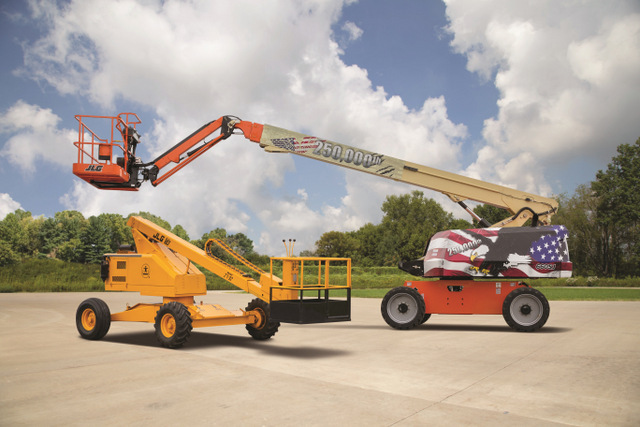 JLG Industries Inc., an Oshkosh Corporation company and a leading global manufacturer of aerial work platforms and telehandlers, marks a milestone in North American manufacturing with the production of its 250,000th self-propelled boom lift. The model is a 660SJ and was built at the company’s manufacturing facility in Shippensburg, Pennsylvania. In 2006, JLG celebrated production of its 100,000th North-American-made boom lift. Other historical firsts include introduction of the first oscillating axle technology in 1981, manufacturing the first fuel-cell powered boom lift in 1999 and production of the world’s largest self-propelled boom lift, the 1850SJ, in 2014. 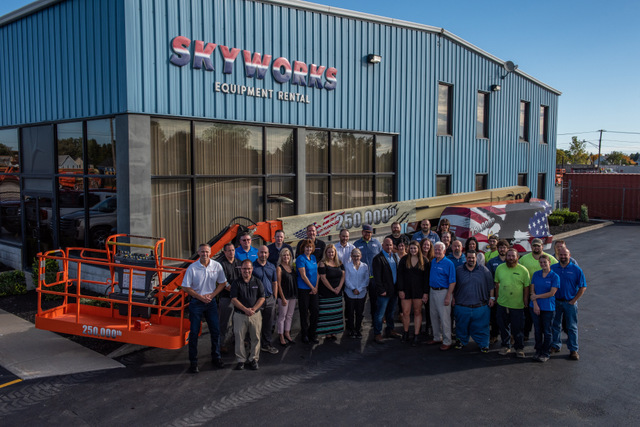 Delivery of the commemorative lift was made to Skyworks LLC of Buffalo, New York, the same rental company who purchased the 100,000th boom lift in 2006 and the 100,000th JLG telehandler in 2015. Skyworks also took delivery of the first JLG 1850SJ, the world’s largest self-propelled lift, in 2014. Reinhart’s father, Jerry Reinhart, Sr., founded Access Rentals in 1974 and purchased a JLG lift commemorating the nation’s bicentennial in 1976. Owning the commemorative equipment has become quite the family legacy. As JLG nears its 50th anniversary, the company is proud of its humble beginnings that started with 20 workers creating the first boom lift nearly 50 years ago. There are many landmarks in its timeline, but none more important than the creation of the access industry as it is known today. JLG products and personnel can be found all over the world, and the company has evolved its initial boom design into a full line of innovative equipment powered by industry-leading technology. For additional info, click this link. We even made it JLG orange.